Elite Diagnostics accounted for 31.7M of Wednesday’s Junior Market trading. 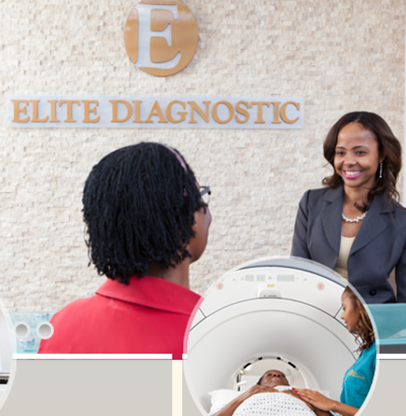 Elite Diagnostic lost money at the Liguanea branch in the first quarter of the 2019 fiscal year but the CEO Warren Chung told shareholders at the company’s annual general meeting held at the Knutsford Court Hotel on Wednesday, that October and November were two very good months at the branch. The audited financial report on the fiscal year to June 2018 show revenues of $297 million compared to $263 million in 2017 resulting in profit of $45 million after tax credit of $9 million and $44 million in 2017 after tax expense of $15 million. Liguanea has moved from a loss into profit and will not be a drag on profit from the original operation from now, the CEO confirmed. Data for the first quarter shows profit before tax dipped sharply from $14 million to $1.8 million the direct result of a loss at the Liguanea branch as well some cost involved in the early purchase of MRI machine to be used in the St. Ann Bay branch to be set up in mid-2019. While revenues rose, a number of categories climbed sharply partially due to the expansion into a new location on Hope Road. Big increases were experienced in legal and professional fees that moved from just $38,000 to $3 million due primarily to the IPO in 2017, rental expense more than doubled to hit $15.8 million from $7.9 million and Utilities moved from $7.3 million to $17.5 million partially as a result of the new branch as well as some cost for storing the MRI machine to be installed in St Ann Bay location. Elite CEO Warren Chung with a shareholder at the company’s 2018 AGM. Revenues in the first quarter to September moved to $85.4 million from $69.8 for an increase of 24 percent, due to the second branch that generated $23.7 million in revenues and a loss of approximately $7 million. Chung in response to IC Insider.com’s question, indicated that revenues at the original location is slightly lower than in the prior year due to some business shifting to Liguanea. The fall in revenues is almost $8 million at Holburn Road and resulted in a fall of approximately $5 million in profit. 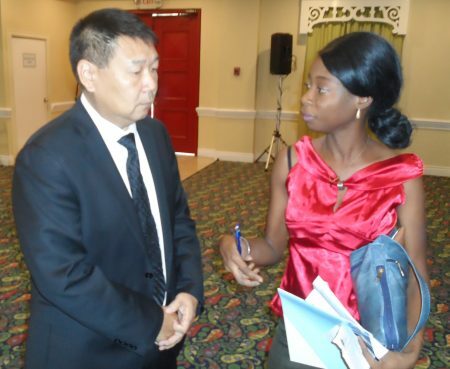 All MRI scanning for prostate are now being done at Liguanea with the stronger and more precise imagery, Chung stated. In addition, he stated that the Holburn Road branch was previously running above capacity with the location running over time and the new location has alleviated the excess. Cost to set up St Ann Bay is put at $20-22 million plus U$375,000 for the MRI machine. The company bought the MRI equipment early because it became available locally, but it comes at a cost as it is being stored and incurring cost as it has to be stored in certain conditions resulting in the consumption of electricity along with rent. The MRI Machine for St Ann is being stored with rental cost being incurred as well as electricity cost to maintain it at a cool temperature. While the company has 3 other MRI competitors in Kingston, there will be no immediate competitor within 50 miles in St Ann. Operating cost at this location will less than at Liguanea with the former being staffed by 7 employees versus a planned staffing of 4 or 5 for St Ann. For the Liguanea location to move into profit would require revenues around $36 million per quarter or 50 percent above that of the first quarter and that would likely move the profit in the second quarter well above the $1.8 million earned in the first quarter. Elite last traded on the Junior Market of the Jamaica Stock Exchange at $2.85.